When you have your health, you have everything. This adage stands true and is illuminated in the 120th issue of Granta, themed medicine. Issues we all tussle with: Why me? What do I do with my elderly parents? What will happen to my disabled son after I’m gone? These and similar circumstances nestled within this collection of short fiction, nonfiction, and poetry are for all of us mortals, not just the medically inclined. These writings are fashioned by living writers—except for “The Lady and the Skull” by Angela Carter, published posthumously. This is one of her recently “found” poems, addressing old age and mortality. You will be glad to know that she lives on in this issue; her poem also provides a great place to start reading. But do please read from cover to cover. The cover provides an overview of the human heart, and “Grand Rounds” by Chris Adrian is a brilliant start of a story, a defibrillator that shocks you into a rhythm for the whole issue. At first the story wanders; you will struggle to follow the thoughts of the narrator. But that is the story. There is a disturbing undercurrent, and if you have read any of his other stories, like “Warm Fuzzies” (20 Under 40: Stories from the New Yorker, 2010), and enjoyed them, you will not be disappointed. The heart (“My Heart,” “Perfect Code,” and “Dilation”), neurology, and psychology (“Hardy Animal,” “Night,” and “People Don’t Get Depressed in Nigeria”) throb with passion for life, acceptance of hardships, the reality of getting older, and the stronghold of drug abuse (“Philanthropy”). They will break your heart, unnerve you, and make you rethink your perspective on life. M. J. Hyland’s story (“Hardy Animal”) is an honest and funny yet melancholy illustration of a woman facing the diagnosis of multiple sclerosis, a debilitating disease. The narrator’s jealousy and need for privacy is well highlighted by the story’s subheadings: Signs of Trouble, What the Hell Is Multiple Sclerosis?, Joan Didion and Dignitas, Steroids and Homeopathy, 2009 and a Brand New Drug, and The Secret. Whether or not you have had a surgical experience within a hospital, especially within a teaching hospital, the irony of “The Perfect Code” (by Terrence Holt) will not be missed. Nor will you miss the chill of “Ordinary Light,” the oddities of nature found in photographs from another time—a photographic collection of Brad Feuerhelm introduced by A. L Kennedy. The experiences in medicine need not be modern. Surgery in the late 1600s England had its own curiosities. Rose Tremain’s excerpt (“The Cutting”) from an upcoming novel illustrates this time, when surgery was very different from that depicted in Mr. Holt’s tale. Intermingled with the stories are poems by Kay Ryan, a past poet laureate; Ben Lerner; and James Lasdun. Filled with nature and wonder, they tie the issue together. We are grateful for our health, and we try to accept our bodies’ shortcomings. We try to accept that we will not live forever. Our mortality, or at least one man’s view, lingers on the back cover. 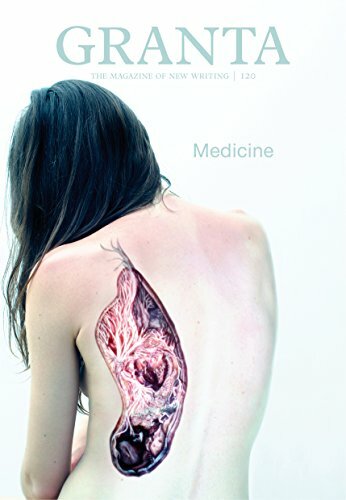 From cover to cover, with heart and humanity foremost in mind, Granta 120: Medicine is a fantastic issue. Cynthia Doran is a Board Certified Pharmacotherapy Specialist whose diverse professional experience has included working as a clinical pharmacist as well as a position as Assistant Professor, Infectious Diseases, at the University of Wisconsin.